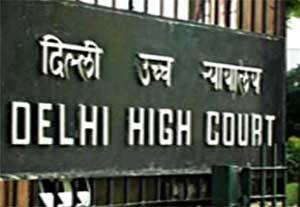 New Delhi: The Delhi High Court on Thursday directed AIIMS to set up an expert panel to examine the forensic and post mortem reports of a man, who died allegedly due to medical negligence while on honeymoon at a resort in the Maldives in 2016 so as to determine the cause of his death. A bench of Chief Justice Rajendra Menon and Justice A J Bhambhani issued the direction after it was informed by the Maharashtra government, which had carried out the forensic examination and post-mortem of the deceased, that the viscera samples were not traceable and only the reports and the tissue samples were available. The directions came on the plea by the deceased’s father, Chelakara Ramaswamy, who has contended that his son died due to the medical negligence of the doctor — Dr Dorjee Khandu — who treated him for food poisoning while he was staying at the resort at the Vilu Reef Island which is more than 100 km away from Male, capital of Maldives, and can be reached only by seaplanes. He has also alleged that the J J Hospital at Mumbai, where the post mortem was carried out, did not follow the procedure properly and gave a “sham report”. Senior advocate N Hariharan, who has been appointed as an amicus curiae in the matter, told the court the doctor in the Maldives was negligent as he had given certain medicines to Ramaswamy’s son for stomach problems, which should never be given together. He said the doctor also did not take into account the man’s medical history and did not take emergency measures when the patient’s blood pressure began to rise. Ramaswamy, in his plea, has sought directions to the Ministry of External Affairs (MEA) to instruct the Indian Embassy at the Maldives to initiate criminal action against Khandu. His petition was dismissed by a single judge last year and subsequently, he filed an appeal before the division bench of the high court.